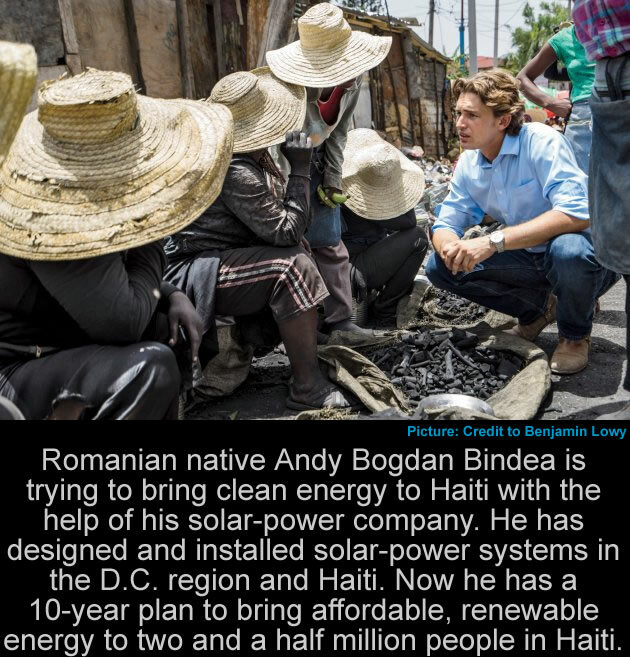 Here is a picture of Romanian native Andy Bogdan Bindea as he is talking to several women in Haiti who were in the process of selling charcoal, He is in the process of bringing clean energy to Haiti with the help of his solar-power company. He has designed and installed solar-power systems in the D.C. region and Haiti. Now he has a 10-year plan to bring affordable, renewable energy to two and a half million people in Haiti.